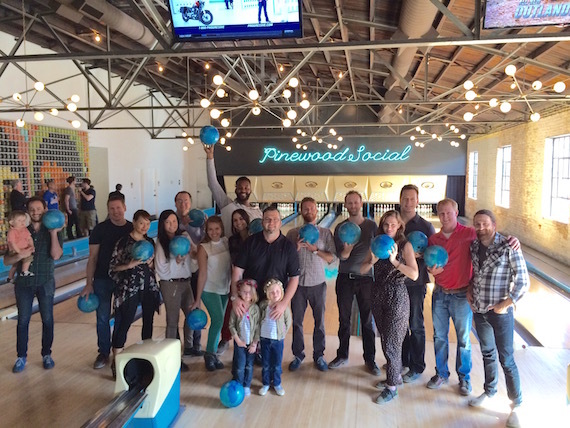 Music publisher ole recently invited several music supervisors to an ole-sponsored happy hour/bowling event at Nashville’s Pinewood Social, as part of the Nashville Film Festival. Pictured (L-R): Joel Timen (Word Entertainment), Jeff Gordon (Carlin), Julie Moe (ole), Anastasia Brown (Format Entertainment), Steven Gaydos (Nashville Film Festival Board Member, Variety), Liz Rogers (Anacrusis Songs), Jennifer Smuckler (Lionsgate), Robert Jordan (Fox Sports), Randall Foster (ole), Patrick Buchanan (Ignition Creative), Jessica Dierauer (Able Baker), Jim Scherer (Whizbang Inc.), John Ozier (ole), and Andrew Petroff (ole Songwriter). ole also recently completed its first ole Bus tour of the year. Songwriter Bart Butler, artist Jon Pardi, and ole songwriter Jesse Rice took the bus to Pardi’s concerts at Berglund Center Coliseum in Roanoke, Va., on April 23 and at St. Augustine Amphitheatre in Florida on April 24. 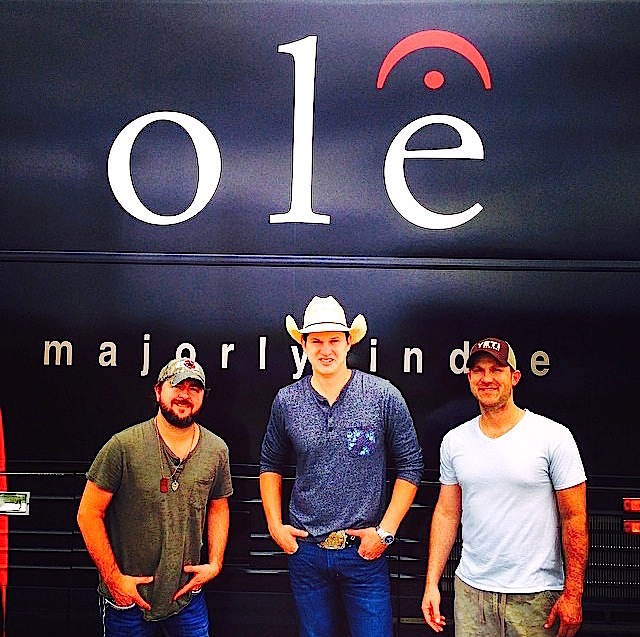 Pictured (L-R): Songwriter Bart Butler, artist Jon Pardi, and ole songwriter Jesse Rice. 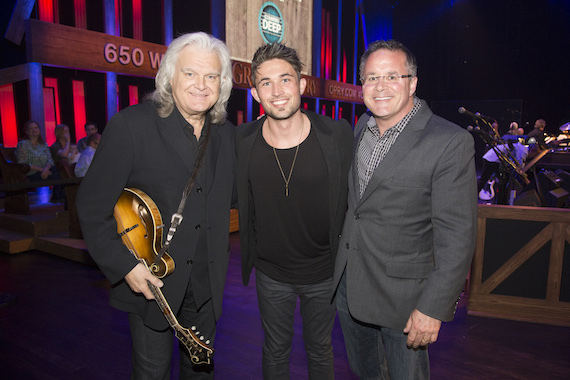 Pictured (L-R): Opry member Ricky Skaggs, Michael Ray and Pete Fisher, VP and GM, Grand Ole Opry.